Working from her home allows a mother to be there for her family! Being able to sew is a blessing for this young lady who cannot walk. Giving thanks for the provision of a sewing machine and what that will mean for this poor family! 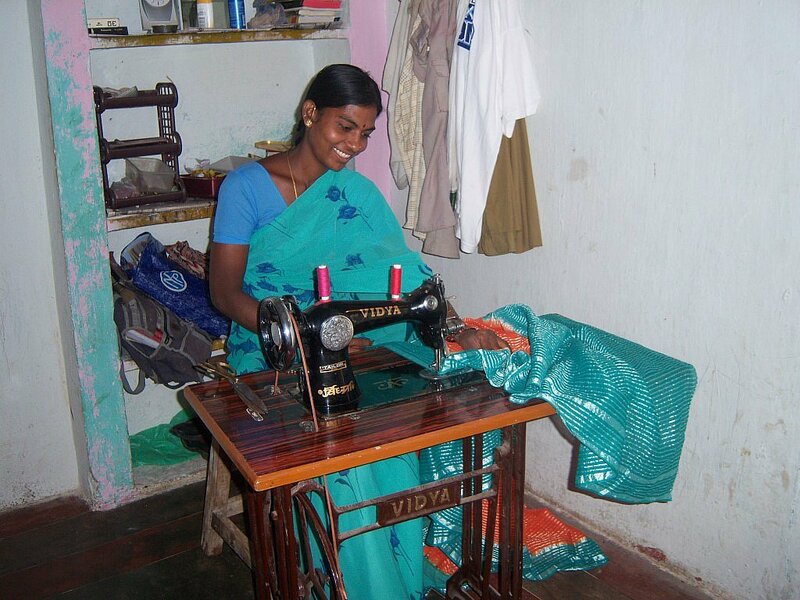 A poor family happy to be able to make a little more income with a sewing machine. A wonderful opportunity to share the Good News! Young ladies grateful to be able to learn a respectable trade!